The scope of the company is to produce pesticide free fresh agricultural products of excellent quality and high nutritional value, regarding the hygiene and safety of in-house personnel. 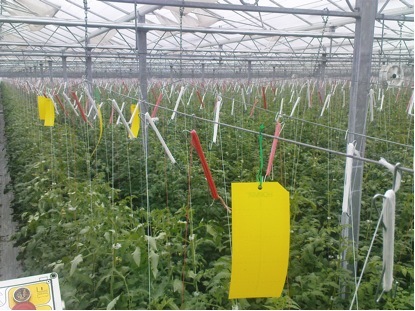 maintaining of a negative environment for disease development by fully controlling of greenhouse climate (temperature, humidity, ventilation etc). systematic control of personnel and visitors hygiene (clothing, shoes disinfection, etc) targeting to eliminate disease contamination. 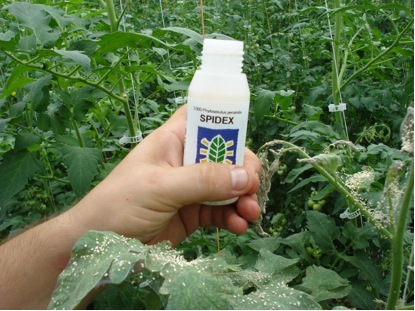 beneficial insects release aiming to maintain a balanced population with insect pests in order to minimize chemical treatments. The crop protection strategy is applied by experienced scientific and technical personnel under the supervision of biological control experts (Charantonis SA – Koppert).